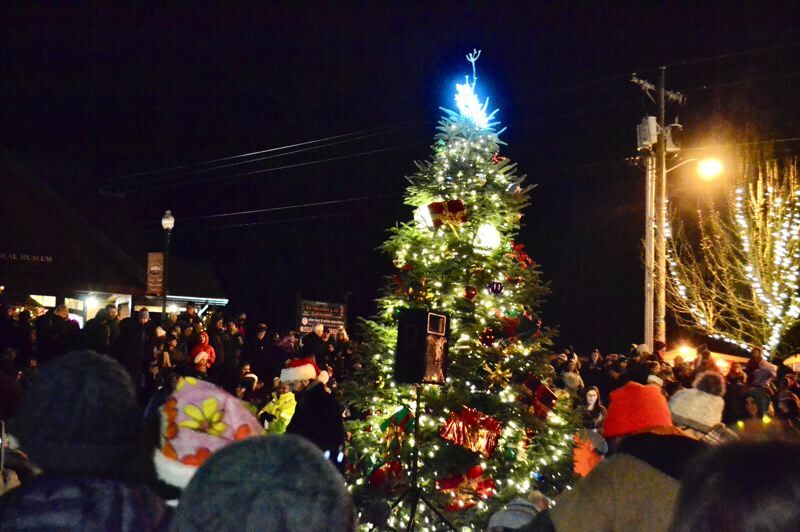 The Sandy community sang in the holiday season on Friday, Dec. 7, with carols, cocoa and the lighting of the town Christmas tree in Centennial Plaza. Mayor Bill King led the countdown and lit the tree at 7 p.m. for his last time in office. His successor, Mayor-elect Stan Pulliam, will take over such community duties as of January. "I'm going to miss those events and the interaction with the community as their mayor," King told The Post. 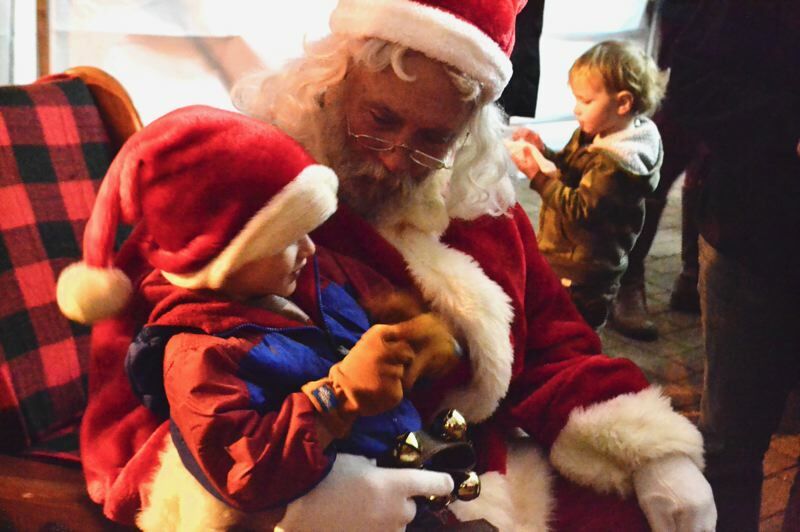 Residents of all ages braved the chilly, blustery evening to meet Santa Claus, take photos with the newly lit tree and ride on the Sandy Transit Department's iconic trolley. The Sandy Historical Society offered some reprieve from the cold by opening the museum's doors for tours of the exhibits, holiday goodies and the opportunity to do seasonal crafts upstairs. Volunteers with the Sandy Area Chamber of Commerce were also on hand selling their traditional red, illuminated balloons. From those sales, the Chamber raised $75 to go toward adopting a family to gift and feed for Christmas. "We fundraise all year long at all of our networking events, by holding a 50/50 raffle," said Chamber Executive Director Khrys Jones. "Ninety percent of the time the winner donates their winnings back. We use the money to help families that need an extra boost, generally that comes at Christmastime," Chamber Executive Director Khrys Jones said. "When we adopt a family for Christmas we go all out. Every member of the family is included, adults as well as children. Our Chamber Cares program is important to us and the businesses because it's a way for us to get back to the community. For the past four years the chamber has teamed up with the Sandy Volunteer Fire. The volunteers also raise money through the year. We deliver presents to the families with the volunteer fire, in the fire trucks. The kids and parents love this." Last year the Chamber was able to provide presents and food to four families. "Sandy's Helping Hands helped provide holiday meals, and Timberline Meat provided turkeys," Jones said. "This year we have one large family and one small family." Anyone interested in helping the Chamber fund its effort to give to a local family this season can still bring a donation to the Chamber office at 38979 Pioneer Blvd., Sandy.